It was a rainy day when West Michigan’s youth decided to fight back, but the passion at the Grand Rapids Climate Strike was far from clouded. Calvin Olson, a senior at Grandville High School, sent more than 400 emails and hundreds of phone calls to local officials after becoming the leader of the local strike. 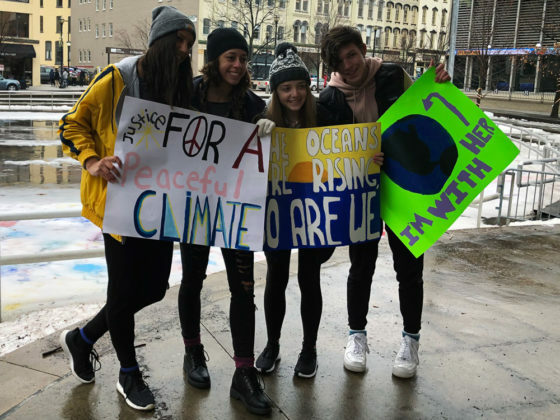 While Olson was taking control of the Grand Rapids event, held at Rosa Parks Circle, thousands of students across the world were preparing to do the same. 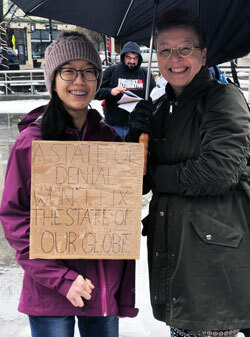 As part of an international movement where students left school Friday, March 15 to demand stronger climate policies, Calvin, along with members of his high school Green Team, started spreading the word about the strike months ago. 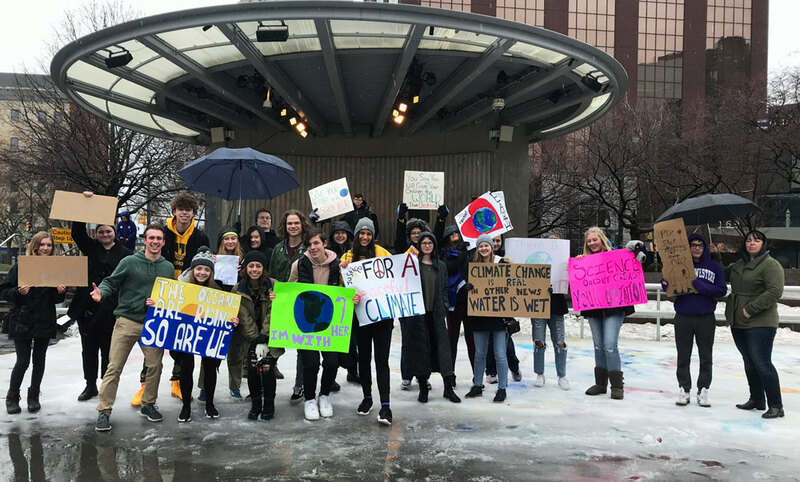 As a result, students from Muskegon to Kalamazoo, as well as Kent County, gathered to make their voices heard. Katie Kaiser, a senior at Grandville High and co-president of the Green Team, was happy to take time out of her schedule to participate. 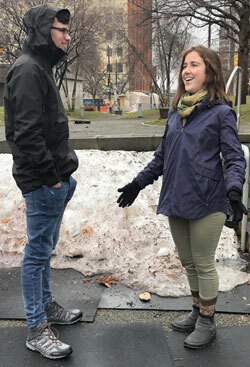 Four students from Portage Northern High School, Colin Carrol, Gabi Ford, Rachel Budnick and Lexie Kochawala, made the hour-long drive to Grand Rapids to add their voices. Colin emphasized that any action is helpful, no matter how small. 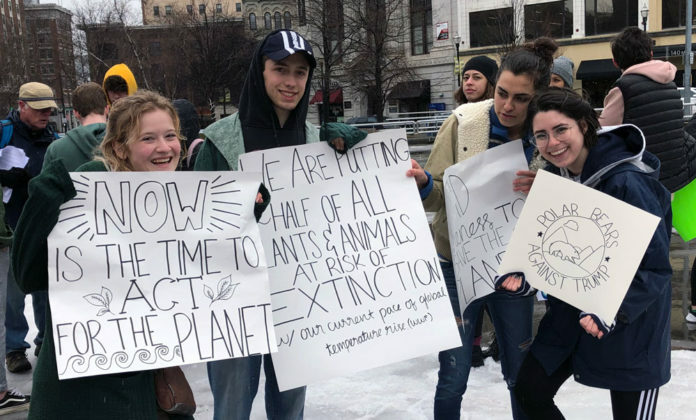 John Considine, co-leader of the Grand Rapids Citizens’ Climate Lobby and a former Thornapple Kellogg teacher, stood on the sidelines of the strike, letting students who share his passion for the environment take the lead. “My generation messed things up and, sadly, it’s in their hands to take care of it now,” he said. Though the state of environmental laws is less than ideal at the moment, he said, seeing the next generation so passionate encourages him. 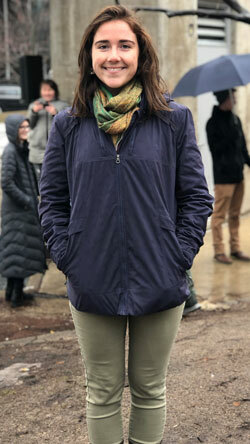 Ellen Lavigne, a senior liberal studies major at Grand Valley State University, spoke to the crowd about the importance of individual activism, specifically regarding personal consumption. Lavigne hopes that events like the strike bring attention to the bigger players in the game such as lawmakers and politicians. Calvin Olson hopes that his work with the Youth Climate Strike reaches much farther than the Grandville community.